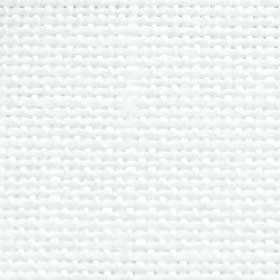 Vetty Creations has a small range of fabrics used for whitework embroidery. These are some of the fabrics that are specified in Vetty Creations' books and projects. 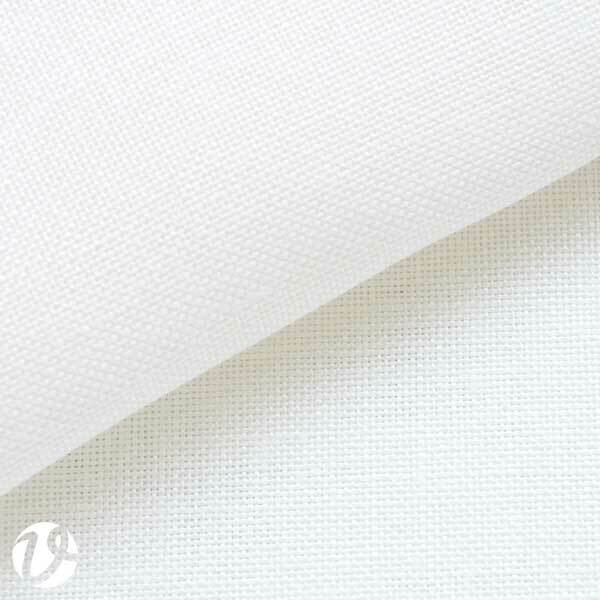 This top quality cotton satin jean or cotton sateen is a heavy weight fabric with a high thread count, perfect for Mountmellick embroidery. It is cream in colour when purchased, and at the completion of embroidery, it is boiled white - it should not be left to remain cream. This is the same as the fabric that I purchased when I was in Mountmellick in Ireland. It is the real deal! 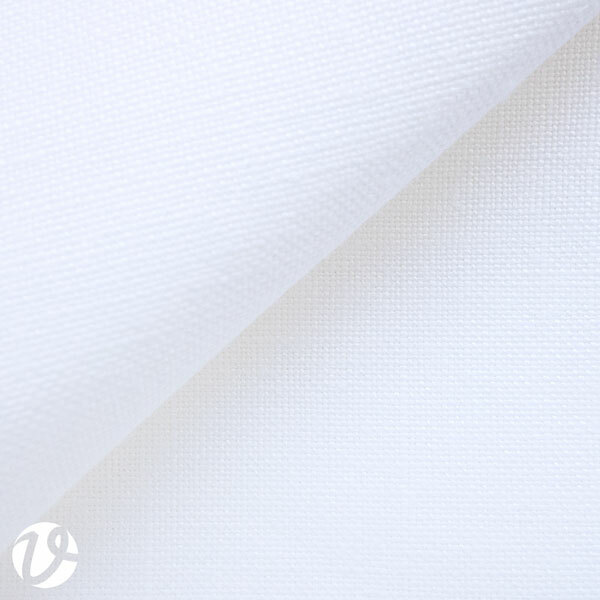 Our polycotton satin jean fabric is a medium weight fabric, with a low sheen. It is very economical for working Mountmellick. Many of the projects in our book "Mountmellick Embroidery: Inspired by Nature" were worked on this fabric. Weddigen linens are a beautiful range of high quality linens for hand embroidery, which come from Germany. We have added a number of their evenweave linens to our range. 34 count linen. Bright white. 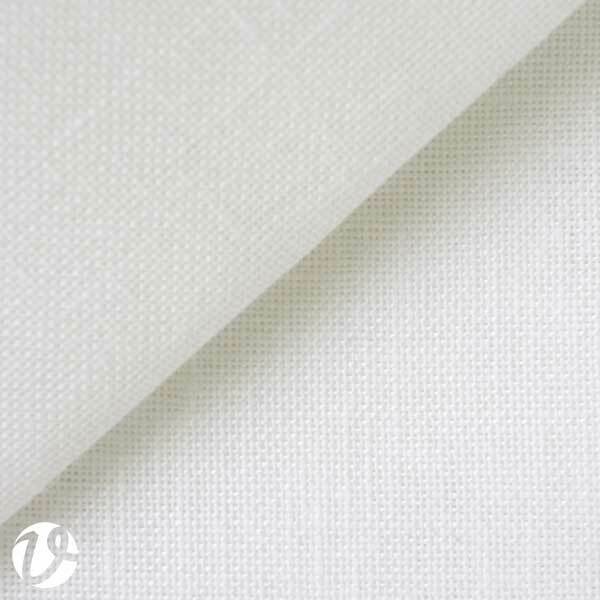 This linen is recommended for Hardanger embroidery, Schwalm embroidery and other forms of counted embroidery. Per metre, full width. 185cm wide. Per 10cm length, full width. 185cm wide. Per metre, half width. 92cm wide. Per 10cm length, half width. 92cm wide. Fat quarter. 92 x 50cm. Fat eighth. 46 x 50cm. 50 count linen. Bright white. 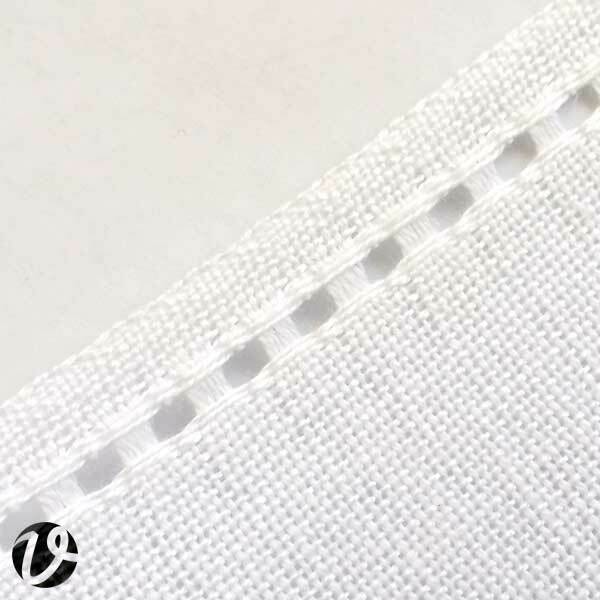 This linen is recommended for very fine counted work, or as a lovely base for surface embroidery. It is a medium weight linen. Per metre, full width. 150cm wide. Per 10cm length, full width. 150cm wide. Per metre, half width. 75cm wide. Per 10cm length, half width. 75cm wide. Fat quarter. 75 x 50cm. Fat eighth. 37 x 50cm. 38 count linen. Optical white. Per metre, full width. 180cm wide. Per 10cm length, full width. 180cm wide. Per metre, half width. 90cm wide. Per 10cm length, half width. 90cm wide. Fat quarter. 90 x 50cm. Fat eighth. 45 x 50cm. As used for the candle wrap project in Sardinian Knotted Embroidery. 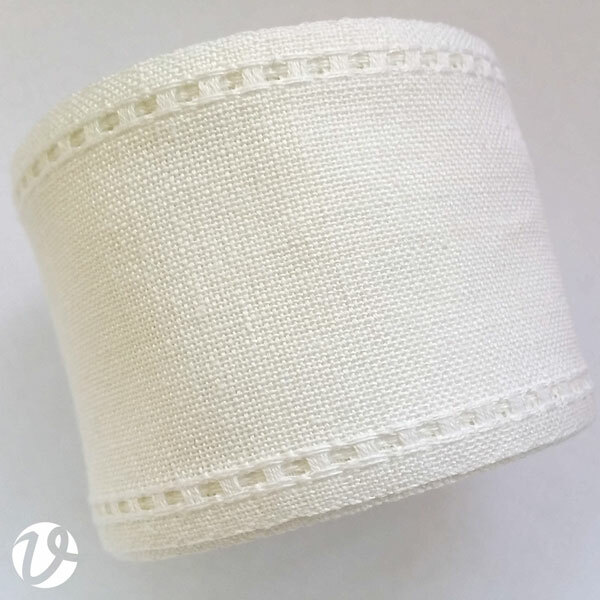 28 count linen banding. 8cm wide. White. This is the linen banding used for the bookmarks in Smøyg: Pattern Darning from Norway by Yvette Stanton. 30cm is required for each bookmark. This 28 count linen is used for Sardinian knotted Embroidery. It can also be used for any counted embroidery where evenweave linen is required. White and natural linen. Per metre, full width. 140cm wide. Per 10cm length, full width. 140cm wide. Per metre, half width. 70cm wide. Per 10cm length, half width. 70cm wide. Fat quarter. 70 x 50cm. Fat eighth. 35 x 50cm. 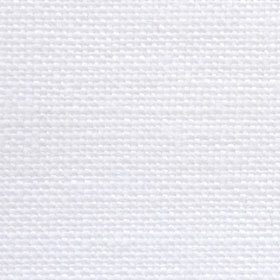 This 35/36 count linen is used for Hardanger embroidery. It can also be used for any counted embroidery where evenweave linen is required.